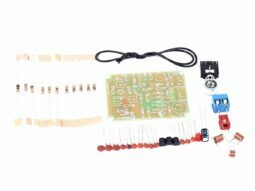 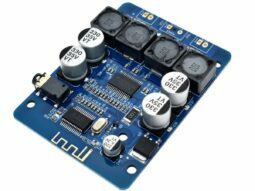 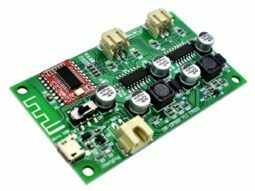 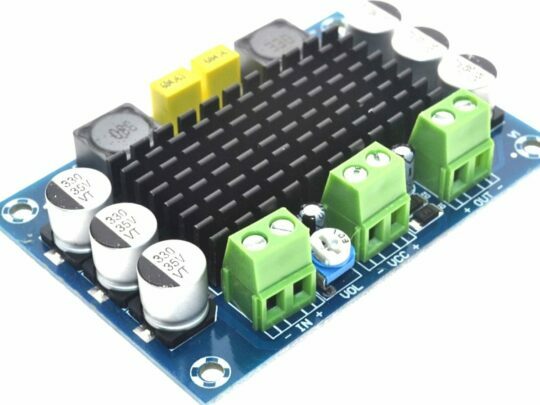 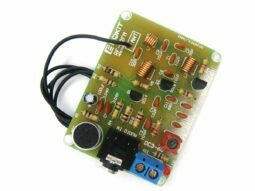 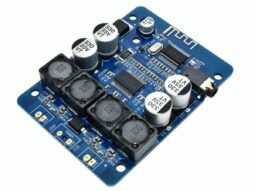 This 100 Watt Class-D Audio HiFi Amplifier board features the Texas Instruments TPA3116D2 Filter-Free Class-D Amplifier With AM Avoidance. 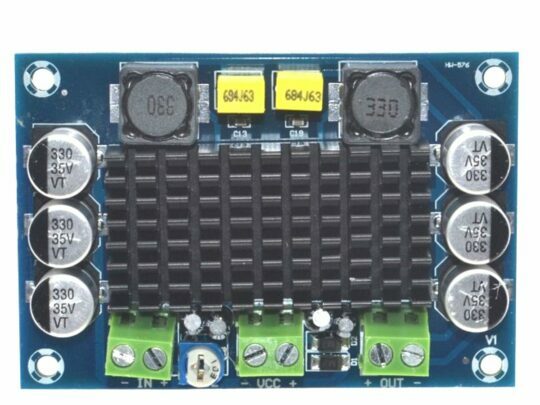 It comes ready assembled with the necessary heat sink, and tested. 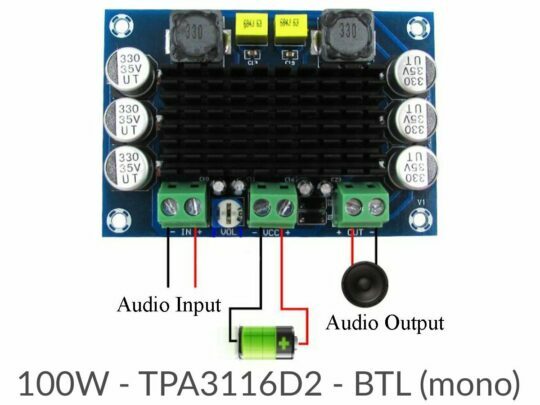 The TPA3116D2 is a efficient, digital amplifier power stage for driving speakers up to 100W / 2 Ω in mono. 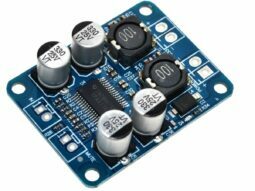 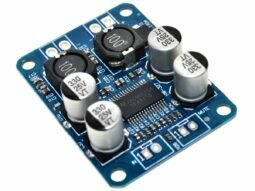 The TPA3116D2 advanced oscillator/PLL circuit employs a multiple switching frequency option to avoid AM interferences. 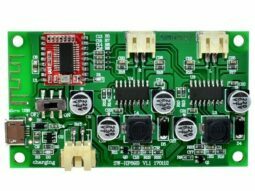 The TPA3116D2 devices are fully protected against faults with short-circuit protection and thermal protection as well as overvoltage, undervoltage, and DC protection.